To wend our way to words. Aligned in text – not heard. The depths we wondrous poets go. 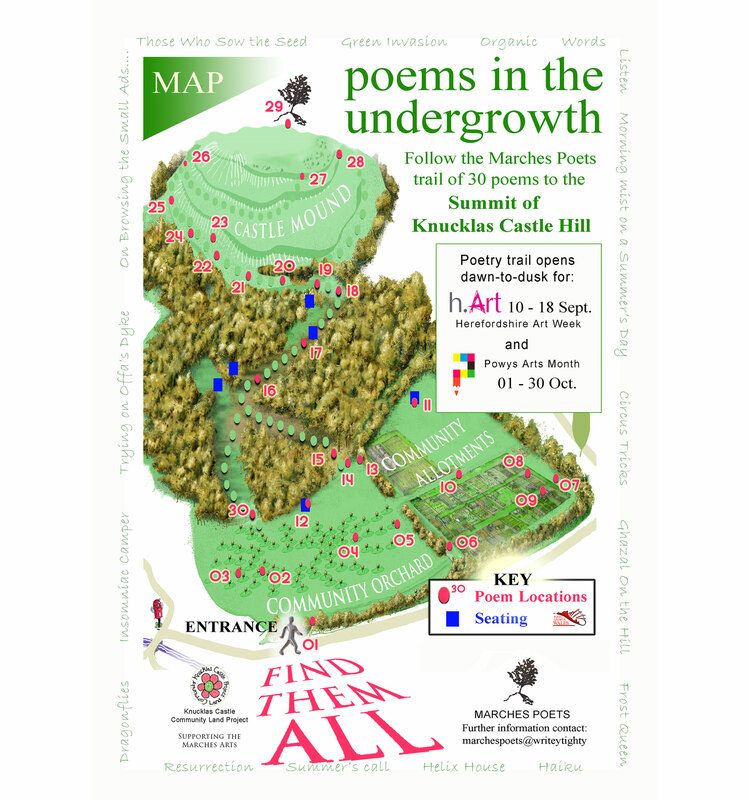 And on the subject of hunting for poems, here is one of my poster designs for a “poetry walk” through the woods for the Marches Poets. It was a shared event and organised like an Easter Egg hunt. Lady Sapph – Your word play is so fun, and you really do have a refreshing style. Your work is like skipping rocks you seem to always nick the surface of a subject and let one’s mind grasp the depth. Awesome. Keep it up! Elske – Title / intro is: love it, nice title! Something to work on is: nothing really, although it might be that the first word ‘we’ve’ should be we’re. nice rhythm you got going! and I really love the theme, many poets can relate to it, I am very sure. very good job! Ah yes, it should be! Thank you very much for spotting that. I’ve corrected it.